thank you to joel for sending us information about an upcoming tribute show happening on sunday, may 18th! joel is part of the popular music board at portland state university. the show is being held at hawthorne theater in portland, or from 8pm -11pm. 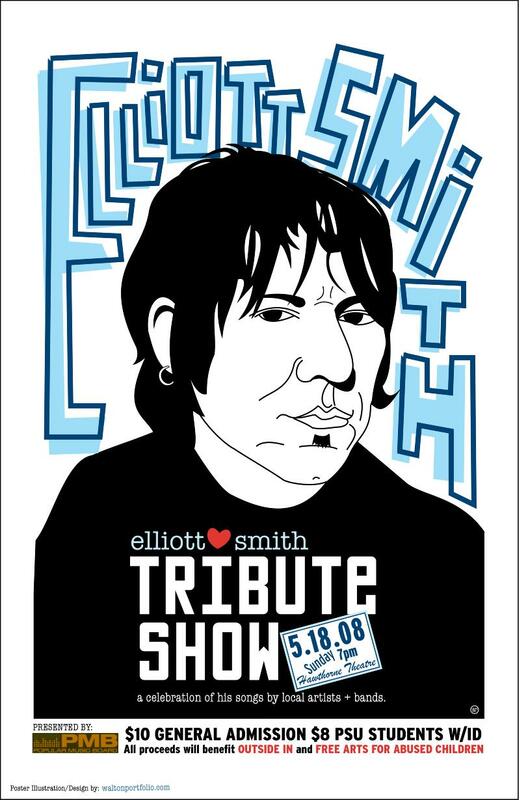 the tribute is featuring local singer/songwriters and bands will be performing elliott's songs in his memory, and there may even be a documentary film crew there to take some footage of the tribute. proceeds from the tribute show will benefit outside in and the free arts for abused children! the cost is $10 general admission and $8 for psu (w/ id) at the door the night of the event. doors at 7pm. for more information, please visit the popular music board at psu website at pmbpresents.org.